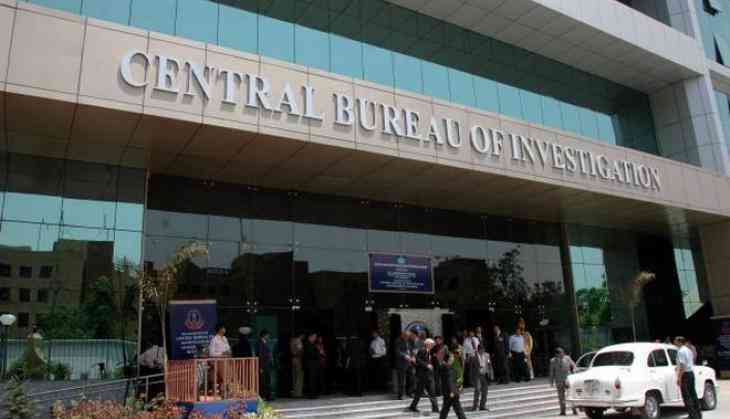 The CBI on Thursday registered a case of alleged fraud of Rs 824 crore and questioned the directors of Kanishk Gold Pvt. Ltd. (KGPL). The case is regarding Kanishk Gold who is involved in taking loans from a SBI-led consortium of 14 banks. The SBI registered a complaint on behalf of the 14-bank consortium, after which the CBI started searching the official and residential premises of Kanishk Gold Pvt Ltd. at various places in Chennai. The promoter director Bhoopesh Kumar Jain and others were involved in diverting the funds of the bank and the companies accounts are declared fraud and non-performing asset (NPA) in 2017-18 by various lending banks, it alleged. Kanishk Gold Pvt. Ltd. manufactures gold jewellery under the brand name 'Krizz'. Till, 2014 the jewellers used to market its product through distributors but in 2015 they changed their model to (business-to-business) where they started supplying to large retailers, said SBI in a complaint to the CBI. In 2008, the SBI took the comapnies loan accounts from the ICICI and its banking arrangement was converted to multiple banking in March 2011. The CBI is in touch with the SBI as there were certain loopholes in the complaint filed by the bank. To avail the credit facilities from the bank, the jewellers misrepresented the records and financial to show up a decent financial picture since 2009.